Commercial work is not what we are known for, nevertheless we do countless amounts of work on commercial vehicles working with big companies and corporations, even the Emergency Services! Take a look below for a brief overview of what we can offer for your business! 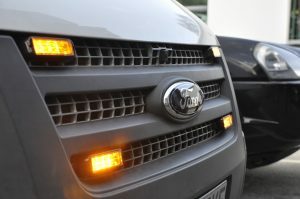 For many companies adding a warning light to their vehicle is a necessity in their line of work, whether its a tipper van for when it tips its load, or a wide load vehicle travelling on the highways. Warning lights come in many different shapes and sizes from individual LED light heads to a very high end roof light-bar, each system is used for different situations. The Emergency Services are the most well known to have warning lights on their vehicles, often referred to as Emergency Vehicle Lighting (EVL). Emergency Vehicle Lighting are visual warning lights fitted to a vehicle for use when the driver wishes to signal to other road users the urgency of their journey. This also provides additional warning of a hazard when stationary, or in the case of law enforcement when a Police Officer wishes to interact with another road user. The Emergency Services often use LED light-bars as their preferred choice of lighting. The use of an Accident Data Recorder camera is the only real way to substantiate your claims in the court of law. 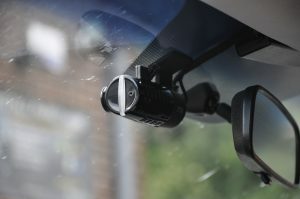 Drivers have come to realise that, in the absence of other evidence, having a camera on board may influence a positive outcome in the case of an accident. While actual results will vary, it’s been reported from various motoring groups that camera systems can dramatically reduce at-risk driving behaviours by up 50-70%. By reducing the at-risk behaviour, the likelihood of an accident is also reduced. Video evidence from an Accident Data Recorder can assist your car insurance company to process your claim more efficiently and it prevents a stand off scenario whereby your insurer and that of the other driver are unable to agree which party was at fault. Fleet vehicles are good candidates for this kind of protection given their high annual mileage. Multi Geo-Fence – The system allows you to create virtual perimeters around locations, these Geo Fences can be labelled to allow easy identification. An email can be sent if the vehicle enters or exit these areas. Speed Warnings – Set your own ideal speed limit, if the vehicle travels above the set speed limit then you will receive an email. Reports – Offers multiple reports giving you a variety of information including journey, time sheet and all activity data. Multiple Logins – Allows selectable access for users, additional email addresses will be required to allow setup. Optional Remote Immobilisation – Send a command to a specific vehicle to stop the vehicle from starting, send another command to make the vehicle start through the website. Order is the catchword which starts the professional work routine already in the vehicle. Every kilo of unnecessary loading costs fuel, and every unnecessary journey costs time. 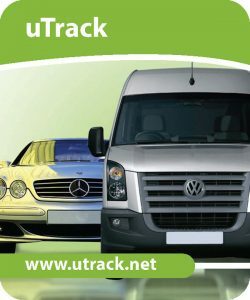 Organisation, by means of Vehicle Racking for commercial vehicles, creates a significantly higher level of efficiency and with it, better profitability. The user experiences marked simplification of his daily work routine due to easy organisation, as well as a clear arrangement of tools and materials in the vehicle. Vehicle racking offers you different possibilities for several vehicle types and industries. 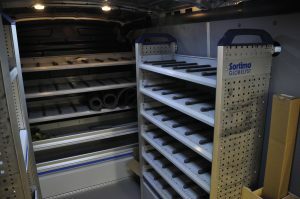 With our Van Racking Systems, we are sure to have the perfect solution for you as well. The above listed are just a brief overview of some of the commercial services we offer. We are highly experienced in vehicle technology and no job is too high or too low for us. If you have a specific enquiry and would like to know some more information as to whether the job can be done, please feel free to get in contact with us. I’m sure we have a solution for your needs.